Sovereign Pest Control has an affordable and proven method against those nuisance Stink Bugs and Box Elder Bug problems. The video below explains the process and benefits of Stink Bugs and Box Elder Bugs Service from Sovereign Pest Control. It’s time to stop wasting money on DIY products and treatment. 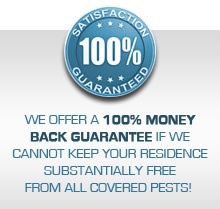 Instead, call 866-430-9801 today to speak to a Sovereign Pest Control specialist about scheduling an appointment. The infestation can be reduced greatly by treating, but the following are necessary on the homeowner’s part to expect good results. Try to find and close up any accessible area or holes that they can access, chimney flute, attic fans and dormers. They can get through very small holes. 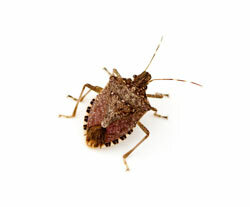 Stink bugs and box elder bugs can be simply vacuumed up or put in a bottle of water and disposed of. Box Elder bugs are very similar, although they are more likely seen on the sunny side of a house and like maple trees.